One of the bummer results from last night's Texas party primary runoff election races is that Fran Watson's historic bid to become only the third African American woman to be elected a Texas state senator ended last night. Had Watson won, she would have not only stayed on course to become the third African American woman state senator, she would have possibly become the first ever openly LGBT one in Texas history. Texas State Senate District 17 is split across three counties, Harris, Fort Bend and Brazoria. Despite Watson taking an early lead by winning the Brazoria County portion of the district, the same didn't happen in Harris and Fort Bend counties. Rita Lucido will get the Democratic nomination for Senate District 17 and will get a rematch with the incumbent senator Joan Huffman (R). Best of luck to her this fall. But I do wish to take a moment to congratulate Fran Watson for a job well done in her first campaign for public office. She forced a runoff with the favored Lucido. 7,659 Texans voted for you across three counties in this runoff election and 12,621 did so on March 6. Countless other #TeamFran people supported you in your historic bid to become a Texas senator along with several organizations . Fran. you didn't lose. We Texans lost by not having a quality person like you repping Senate District 17 when the next Texas legislative session starts in January We need more progressive leaning people and politicians who will put the people first. We need your thoughtful, eloquent voice resonating in Texas senate hearings and the Texas senate chamber during floor debates. I have no doubts that it will happen for you. Unfortunately it wasn't last night. Fran, just a note from our history for you and everyone else to peruse. 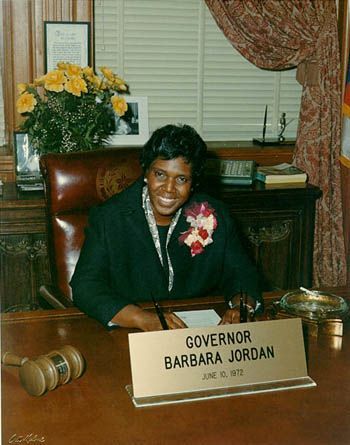 Barbara Jordan (who you were frequently compared to) lost her first two bids for the Texas House in 1962 and 1964. She eventually won that historic 1966 state Senate race and every campaign after that until she retired from Congress in 1978. Something great is in store for you. It's going to be interesting to see exactly what that is. 2018 Williams Watch- It's French Open Time! Moni's On KNON-FM's Lambda Weekly Tomorrow! It's Texas Primary Runoff Election Day! Introducing The Duke and Duchess of Sussex! A Historic Graduation For Keo! Is Becky Hammon Becoming An NBA Head Coach?